Sticking to its stand, the Bharatiya Janata Party government in Karnataka on Saturday asserted that it would not entrust the probe into the illegal mining issue to the Central Bureau of Investigation, but said a report would be submitted to the Supreme Court on the issues raised by a committee appointed by the apex court. 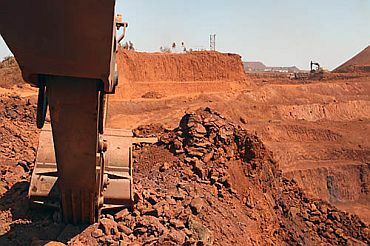 A day after the Central Empowered Committee submitted its interim report to the Supreme Court pointing out largescale illegal mining in iron-ore rich Bellary district in collusion with officials and politicians, Chief Minister B S Yeddyurappa held an emergency meeting of top officials in Bengaluru. Please click NEXT to read more.. The meeting, attended by Chief Secretary S V Ranganath, officials from Mines and Geology Department and Public Works Minister C M Udasi, discussed the CEC report which pointed out that 304.91 lakh tonnes of iron ore had been exported from Karnataka without permits between 2003-04 and 2009-10. Yeddyurappa has repeatedly stressed that his government banned illegal iron ore exports last year itself. Briefing mediapersons after the meeting, Yeddyurappa ruled out seeking a CBI probe into illegal mining and said, "When Supreme Court itself has taken up the issue, where does the need for CBI investigations arise?" "Our government is committed to implement whatever decisions the Supreme Court gives to check illegal mining. I expect to get the copy of the CEC report this evening and the government will also submit its response on the issues raised by the committee", Yeddyurappa who is under attack from opposition parties on illegal mining issue, said. The chief minister blamed the Centre's "apathy" for illegal mining and charged that it did not initiate any step even after he demanded measures to curb the menace at a meeting of National Development Council Meeting held in July last. "It is not my government that gave permission to mining. Loot of mining ore has been happening since 2003. No action was taken to bring to a halt. It is my government that is responsible for checking it", Yeddyurappa, who slapped a ban on illegal export of iron ore last year, a decision which has been struck down by the Supreme Court recently, said. "I am responsible for saving the resources of the state. The Centre also should have done it", Yeddyurappa said. 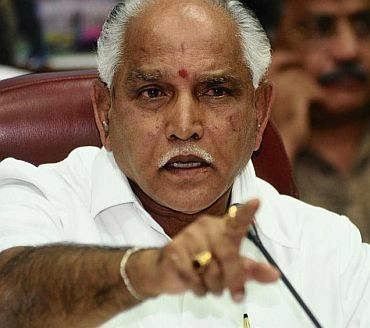 Yeddyurappa sought to defend his Bellary ministerial colleagues including Tourism Minister G Janardhana Reddy, who has been accused of illegal mining and illegal export of iron ore remarking "they have no role in it". 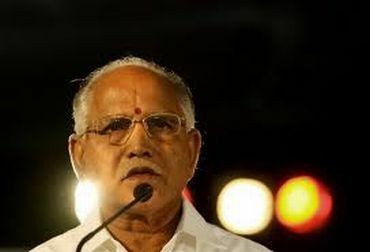 "The allegations against them (three Bellary ministers) are baseless", Yeddyurappa said. 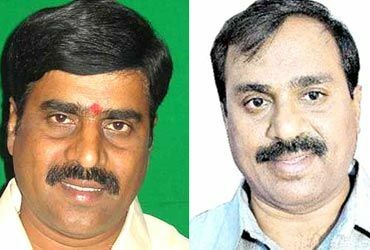 Janardhana Reddy has put on hold his proposed Brhamani steel plant project, he said.